At Uncle Bill’s Pet Center, we not only offer Nylabone dog toys for sale, we also employ a highly trained staff that can assist you in finding the appropriate toy for your dog. Inspired by nature, this long-lasting, splinter-free Power Chew DuraChew toy is a cleaner and safer alternative to real hooves. 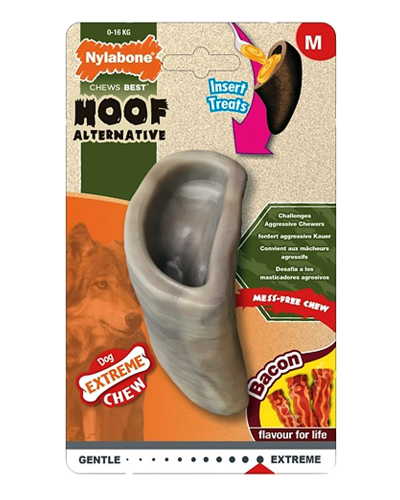 Built strong with delicious flavor throughout to satisfy the most powerful chewers, it will entertain your dog and prevent destructive behaviors. We will be glad to work with you to ensure that your pet enjoys quality toys for optimal health and happiness by providing the best selection and value on premium dog toys for sale in Indiana.